Falls from height are a serious workplace hazard that, unfortunately, still claim many lives and cause serious injuries. Even though we can understand the danger of falling from height, we cannot assume that everyone is automatically aware of all the fall hazards that may exist on a worksite. This is why employers are required to provide their workers with protection against such hazards. While the exact height at which employers have to provide protection varies from country to county, sometimes even from state to state, there should be measures in place to protect a person from any fall that could cause personal injury or death. Falling from any height is dangerous and could have deadly consequences. The higher we are, the more we are aware of the risk of the fall. However, falling from lower heights causes serious injuries as well. After all, the human body has no time to react and try to ‘break’ the fall by landing on your feet. This can result in serious head, neck or back trauma. When working at height, awareness is very important. Employees who get wrapped up in their task can forget their proximity to an edge with dangerous consequences. Awareness of the hazard will help combat it. Safety managers are confronted with a wide range of situations that present a danger to workers’ lives. 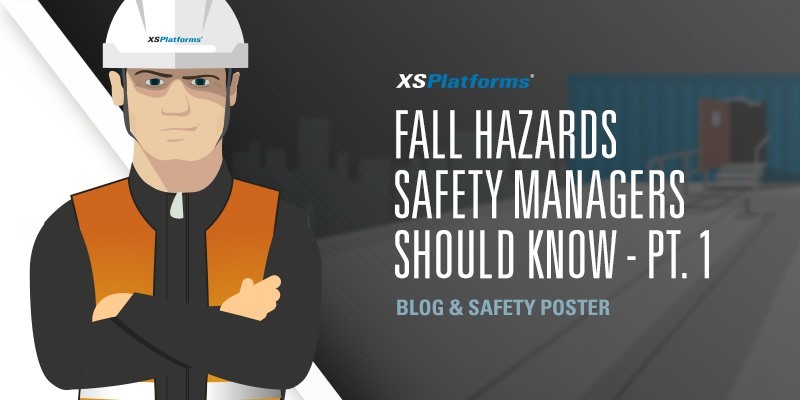 Here are some fall hazards that every safety manager should know about. Often skylights aren’t perceived as dangerous. But what is regularly forgotten is the fact that skylights aren’t made to withstand the weight of a person. Even though the surface is covered, they are essentially still holes. There are even situations were skylights blend in with their surroundings due to collecting dirt. Thus workers had no idea that they were standing on a fragile surface and fell through the hole. Workers can be protected from falling through a skylight or through a hole with covers, guardrails or safety nets. Falls through fragile surfaces, such as fibre-cement roofs, can cause serious injuries, permanent disability or even death. Work on fragile surfaces is very high risk and effective precautions have to be taken to ensure worker safety. Before starting work determine if the structure is strong enough to support the weight of a person and the equipment necessary for the job. The Health and Safety Executive (HSE) from the UK even states that “all roofs should be assumed fragile, unless confirmed otherwise by a competent person.” Even structures not prone to collapse can eventually deteriorate and become fragile, through corrosion or aging. 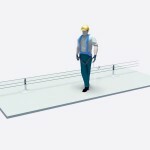 As with providing any fall protection, the best advice would be to try and avoid working at height on a fragile surface, for example by executing the work from underneath on a work platform. If access to the fragile surface cannot be avoided try to provide edge protections, guardrails and/or staging to spread the load or a full body harness with appropriate anchor points. This last option does require more training and knowledge of workers. Where work at height is executed materials and tools are also brought to heights. 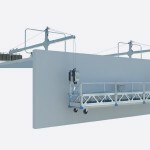 There are situations where these objects can fall, hitting the structure or even people working or walking below. There are an abundance of cases where workers or people of the public have gotten injured by falling objects. Unfortunately there are also cases where people have passed away after a falling tool struck them. Prevent tools from falling by installing toe boards and using tool cords. Proper housekeeping will also help avoid falling tools. Scaffolding and (mobile) elevated work platforms are versatile and are often used when erecting or maintaining structures. Both have their own risks. 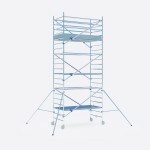 Scaffolding, if not erected properly, poses the risk of collapsing or a worker falling. 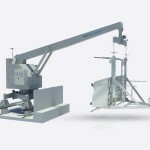 Working from a mobile elevated work platform, such as a cherry picker, could have a worker ejected from the basket when the system moves around while a person is at height. But a worker can also fall if they overreach. While most scaffolding and elevated work platforms are equipped with guardrails it may be necessary for workers to wear fall protection Personal Protective Equipment (PPE). These are the first four hazards safety managers should be aware of. Stay tuned for the next post to find out about the other fall hazards that may be overlooked in your company. Download our poster which includes the first four fall hazards to raise awareness and keep as a reminder.